DATE OF BIRTH: August 16, 1910 – Goderich – County of Huron – Ontario. WIFE: Katherine Isabel Johnston – Goderich / Owen Sound – Ontario. PARENTS: Mr. George and Bertha Johnston – Owen Sound – Ontario. 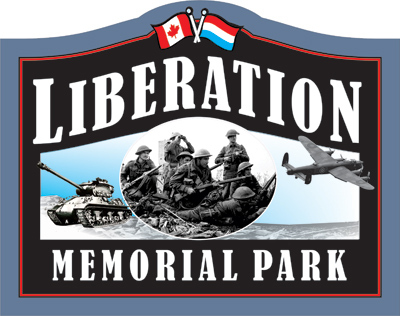 CEMETERY: Groesbeek Canadian War Cemetery – Gelderland – Netherlands. Enlistment: June 12, 1940 – Own Sound – County of Bruce – Ontario. While in Goderich Kelso lived at 64 West Street. He received part of his education in Goderich and following this he then went to Stanstead Wesleyan College in Stanstead, Quebec. 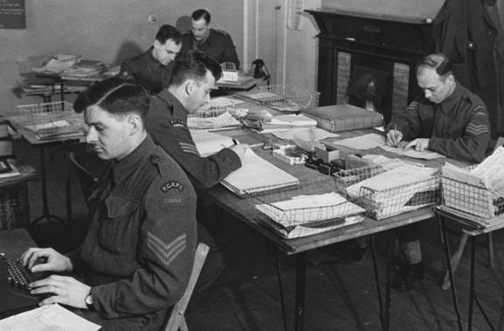 Following his education and prior to his enlistment he was employed as an accountant. 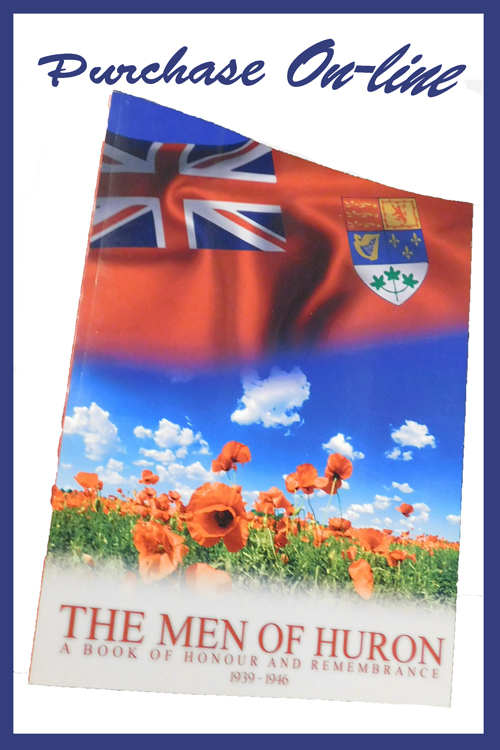 Kelso enlisted in Owen Sound on June 12, 1940 into the Canadian Active Service Force. That same day he was appointed to the rank of Sergeant and then Staff Sergeant. On his Occupational History form Kelso stated he liked to prospect. Kelso has a life insurance policy with Mutual Life of Waterloo. On November 13, 1942 - Sergeant Johnston qualifies as a driver CI III. He now can drive internal combustion wheeled vehicles. During 1943 he attended and completed a tank officers training course, was commissioned to the rank of Lieutenant on December 8, 1943 and then shortly after this he transferred to the Royal Canadian Army Pay Corps. He was then stationed in Vancouver and Vernon in British Columbia, Calgary and Jasper in Alberta and then to Lethbridge where he was paymaster. Lieutenant Johnston on November 22, 1944 received the rank of Captain.He then traveled to Halifax arriving there on February 24, 1945 and the next day February 25th, 1945 he departed from Canada bound for England and arrived there on March 5, 1945. While he was based at Aldershot in England he volunteered for duty in the Pacific theatre. From March 5, 1945 until May 28, 1945 he was stationed in England. Then in late May he left England and travels to Oostende, Belgium arriving there on May 28, 1945. He was stationed in Holland with the Army of Occupation. 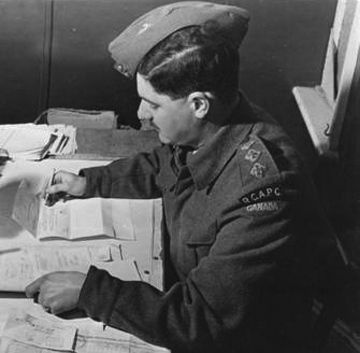 On June 21, 1945 - he leaves the 2nd Canadian Division and goes on strength with the 3rd Canadian General Battalion and joins them on June 25, 1945. In mid August 1945 - he was stationed in Germany at Bad Zwischenahn and on August 28, 1945 he had received permission to use a vehicle to go to Utrecht. He would be driving a Willys 5cwt truck. The day was unsettled and visibility was limited. Captain Johnston approached the outer limits of Utrecht on the evening of August 28, 1945 at approximately 9:30 pm. The sun had just set and it was beginning to get dark. He approached Utrecht and as he did so he encountered a traffic roundabout. These were common in Europe but very uncommon in Canada. He was driving with his lights on and approached at a speed of between 35-40 mph. There were no lights in the area of the roundabout. Captain Johnston tried to make the curve but the left front wheel climbed the curb and the vehicle began to wobble. The vehicle sideswiped a metal pole with support wires and when this happened his head struck the pole as did his left shoulder and leg. Captain Johnston was ejected from the vehicle and was unconscious on the grass. The pole supported electrical wires for the local streetcars. There were some military personnel and citizens in the immediate area and they helped put Captain Johnston into a vehicle and they took him to a civilian hospital St. Anthonius where he was admitted at 11:30 pm on the night of August 28, 1945. It was determined then that he was suffering from a fractured skull. On the following day, he was transferred to No. 1 Canadian General Hospital and arrived there approximately 10. 20 pm that evening. Captain Johnston was now in a coma and on the night of August 30, 1945 at 10:15 pm he passed away from the effects of his very serious head trauma.